Boom Brothers - A really Bombastic Slot from giants NetEnt! 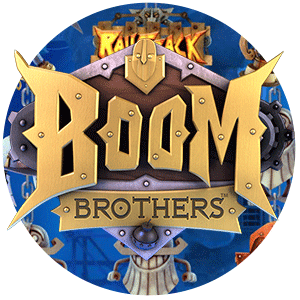 The Boom Brothers is a new game created by arguably the best company that works in designing online slot games – NetEnt. If you consider the portfolio of this company, and their previous successes; then you know that they have only high-quality games that they offer to the market. And the best thing is that their games are featured on the most popular online casinos; so if you wish to play a slot game created by NetEnt, then you will easily be able to find one. Below we will give you some information on the game from the headline – Boom Brothers slot. Boom Brothers slot is a game that features 20 pay lines. If you have played a slot game before; then you definitely know what pay lines are – those are the lines on which you will be making the combination of symbols in order to get the win. The number of these pay lines is fixed; and you won’t be able to change it. There are various symbols (more on them later) and you can combine them in various was in order to win some money at every spin. And the core rule of playing is the same as it is with all other slot games – you will need to place your bet on the pay lines; and then click the spin button. Then you wait it out and the game gives you a combination of symbols on the reels, which may or may not be winning you some money. Rinse and repeat. 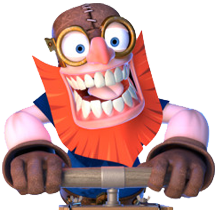 The game itself is about three dwarf brothers that have set forth on a mission to find the buried treasure of the mountains. You will see an interesting, animated intro right before starting the game, where you will be introduced to the characters of the game, the three brothers themselves. Even though they are brothers, they are still unique in their own ways, and one of them decides to pull the lever on a big amount of explosive so that they will be able to break into new areas of the cavern. And then the game starts. Be prepared to watch some fireworks if you play this game; as the game designers have made it to feature some pretty ludicrous animations. There’s no background music in the game. All you will hear is waterdrops falling in ponds, and a few sounds of music here and there. There are different types of symbols here. You will have mining equipment such as hammers, buckets, helmets, you will have metallic objects in the shapes of human faces, and you will have bonus symbols. One such symbol is the wild symbol, which is a fan favorite when it comes to slot games. Basically; it replaces other symbols that you may need on the reels. Then there’s the free spin symbol; which predictably, gives you free spins, and finally, there’s the railtrack symbol which can give you a bonus game where you will push mining carts in order to get to the gold. This game is really popular because of the reason that it’s really fun. But don’t take our word for it – try it out and see for yourself.